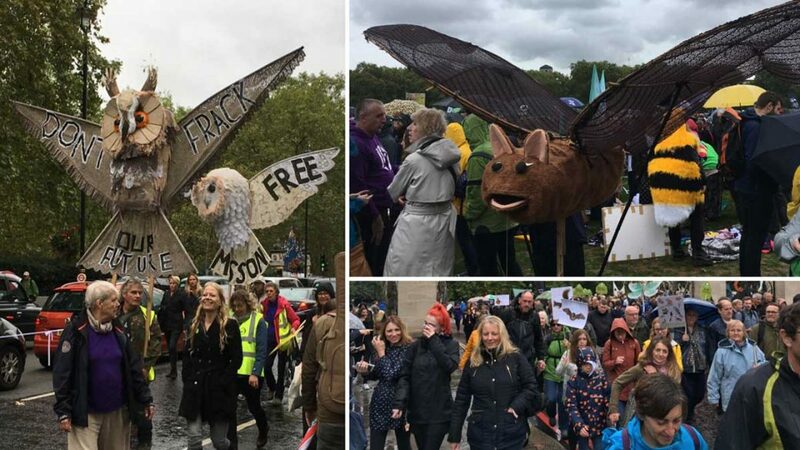 On a very damp London Saturday, thousands of people gathered in Hyde Park to show their support for nature in the UK. 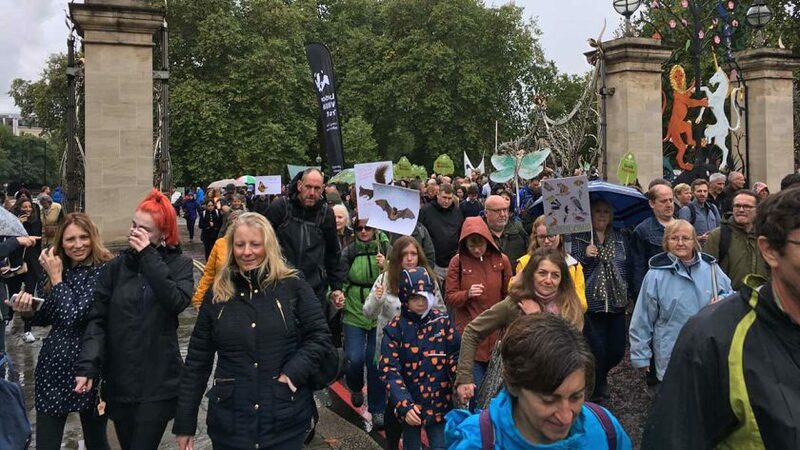 The People’s Walk for Wildlife on 22 September was organised and led by TV presenter Chris Packham and was “born out of frustration” with the way conservation has been going in the UK. We are presiding over catastrophic declines in species across the country, and if we don’t start taking serious action soon then they will start disappearing from our nation forever. People and organisations from all over the country descended on the capital. I was there with Action for Conservation, an amazing charity that works to inspire the next generation of nature conservationists, regardless of the career they choose to follow. Demonstrators march in the People’s Walk for Wildlife in central London. The aim of the walk was to show that people still care, and they answered the call. A large crowd stood in the rain in the park listening to talks from scientists and conservationists, including some inspirational speeches from young naturalists as young as 14. There was also music from Billie Bragg, Grace Petrie and others before the walk began. People carried banners and placards, with others dressed as badgers, foxes, bees and birds. The urban sounds of London were drowned out as birdsong rang out from hundreds of smartphones. The colourful march snaked through central London before finally ending at Richmond Terrace. It’s horrifying. Depressing. Disastrous. And yet somehow we have grown to accept this as part of our lives—we’ve normalised the drastic destruction of our wildlife. The manifesto lays out nearly 200 measures that these ministers recommend are needed to turn around conservation in the UK. As Packham was keen to emphasise, this is just a first draft. Further drafts will come out of a further dialogue with anyone who wants to get involved. So join the conversation, so we can continue to show that people still care about UK nature.